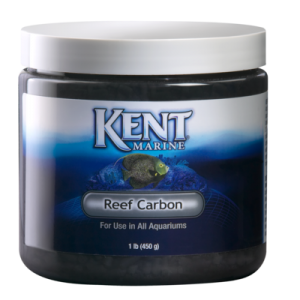 Kent Marine, subsidy of the aquatics division of Central Garden & Pet Company and a long-time supplier of aquarium chemicals, has issued a recall and an immediate stop of the sale of their popular Reef Carbon line of activated carbon. 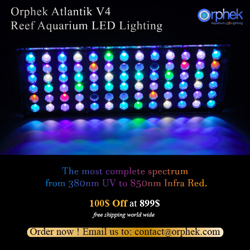 In an email recently issued to resellers, Central Aquatics stated that their carbon contained “unusually high levels” of soluble heavy metals, such as copper, that could easily leach back into the aquarium and could have an extremely negative impact on corals and aquarium invertebrates. Customers who have reported problems indicate that SPS corals and Tridacnid clams are the livestock most severely impacted, but fish and less sensitive invertebrates don’t seem to be affected. Freshwater fish are also not affected by the presence of the metals. In terms of the products contaminated, the quality control issue is present in all batches of the Reef Carbon line that were sold between December 5, 2011 to February 8, 2012. If you purchased carbon that was packaged during that time frame, Kent Marine encourages you to stop using it immediately and directs customers to seek refunds and product replacements from the store where the contaminated carbon was purchased. There is a quality concern with KENT Marine Reef Carbon manufactured between December 5th of 2011 and February 8th of 2012. The concern is that the batch of carbon contained unusually high levels of heavy metals which have an adverse effect on stony corals and clams in marine settings. KENT Marine Reef Carbon is a virgin coal based carbon that is mined giving it greater adsorption properties. Unfortunately during this mining process, small layers containing heavy metals like copper were introduced into the carbon. This contamination of heavy metals would likely go undetected in freshwater environments and would not affect livestock. However in marine (salt water) aquariums, the effects can be seen in as quickly as a couple of hours to stony corals and clams. Fish and higher invertebrates such as shrimp do not seem to be affected. After removal of the contaminated carbon and dilution by a water change or use of other filtration means, most corals have been able to recover in 2-3 weeks from the exposure. This carbon is also mainly used for commercial potable and wastewater treatment such as municipal water supplies. These are single pass systems where the water will only pass through the carbon bed once and any residual leaching of metal into the water will be minimal. This is also why carbon is not typically tested for heavy metals; until now. When carbon is used in aquarium settings, the water passes through the carbon bed multiple times increasing the soluble metal in that enclosed environment. If you have purchased KENT Marine Reef Carbon in the last three months, please refer to the below table to identify the product size you may have purchased and the expiration dates affected. These expiration dates can be found imprinted on the product label or stamped on the product bottom. If you have product with an above expiration date, please discontinue use and perform a standard water change. Take the remaining product back to the retailer where it was purchased for a refund or exchange or call a Central Aquatics customer service representative at 1-888-255-4527. We apologize for the inconvenience this has caused as we want to assure you that we intend to deliver the highest quality products possible. With this development, the quality of KENT Reef Carbon will be produced under new testing protocols. Again we sincerely apologize for having to bring this quality concern to your attention. If you have any questions about this advisory or any other KENT Marine product, please contact a Central Aquatics customer service representative at 1-888-255-4527.